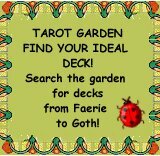 Do you have a Tarot deck or book review you think would look good here? Or an interview with a deck creator or author? Send us an email at editor@thetarotreview.com.